Description Lillybank (Kaikoura?) February 1986. 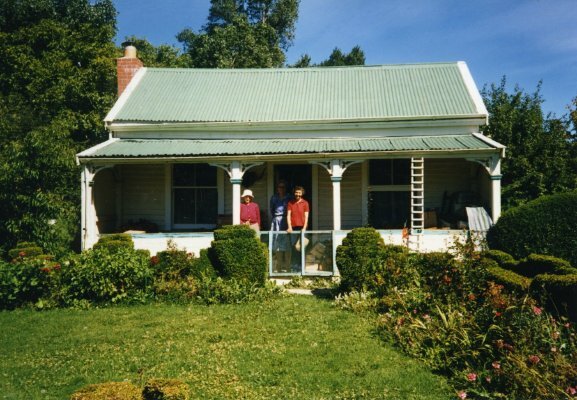 Three women standing on the verandah of a cottage.